The 10 Best Mexican Restaurants in Utah! A love for Mexican food runs deep in Utah. 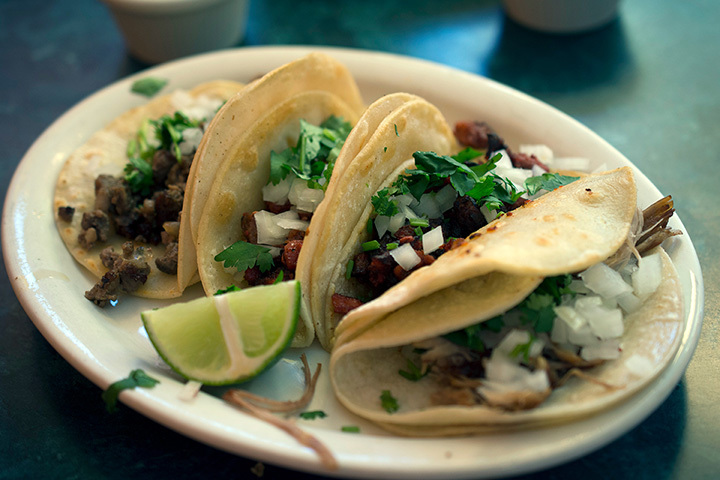 The problem is, with so many Mexican restaurants, how do you know what’s truly authentic? Time and time again, the following 10 Mexican restaurants have shown they’re some of Utah’s top players. El Gallo Giro in Provo is always hopping. Serving authentic Mexican food, the restaurant sells pretty much any kind of Mexican delicacy you could imagine. That said, the menu features a particularly interesting item you won’t find elsewhere called “The Rock.” Curious? You’ll just have to check it out for yourself. If you spend enough time in Utah, you’ll learn that Utahans talk about The Red Iguana as if it is holy ground. This explains the restaurant’s longer lines on the weekends. That said, the mole is well worth the wait! Located in the heart of downtown Salt Lake City, Alamexo Mexican Kitchen lures hungry wanderers in with its bright, glowing red sign. If you’re looking for Mexican in the form of fine-dining, this restaurant is where you’ll want to be. You’d think Lone Star Taqueria would be in Texas, but instead, it’s a relaxed and vibrant restaurant at the base of the Rocky Mountains. Renowned for its fish taco, the Lone Star Taqueria will also have you swooning over its perfectly fried tortilla chips. You have to be a little skeptical of a Mexican restaurant that offers fries as an a la carte item, but Maria Bonita proves the skeptics wrong with its pork tacos and a slew of other mouth-watering menu items. Serving huge portions, the restaurant is also famous for its main cook: an extremely friendly Mexican woman who comes to chat with customers. Sometimes, when you’re craving Mexican, you don’t necessarily want anything fancy. At El Toro Viejo, you’ll find Mexican comfort food in the form of massive burritos and an addictive green salsa. Both El Toro Viejo locations are not only clean and comfortable, but boast of unique decorative appeal. Named after 20th century artist Frida Kahlo, Frida’s Bistro in Salt Lake City is the near opposite of Mexican comfort food. In fact, the restaurant’s slogan is “Sophisticated Mexican Gastronomy.” Not sure what that means? Essentially, Frida’s Bistro is Mexican for foodies. It isn’t your typical enchilada with rice and beans, but Mexican classics accented by unexpected flavors like fennel and sweet potato. Simply put, Brasas Mexican Grill hits the spot every time. Much of its success is due to its meat, which is grilled to flavorful perfection. For some, the burritos can be a bit greasy, but the tacos (which on weekdays, are sold two for one from 4–5 p.m.) are not. If you’re a fan of seafood, make sure to try the restaurant’s fish taco, which is crispy, moist, and far from fishy. This busy restaurant feeds hangry hikers demanding replenishment, and although the line can sometimes be long, it always moves fast. While El Charro Loco serves up mostly traditional Mexican fare, their chorizo cheese dip (known formally as “choriqueso”) is a unique way to experience south-of-the-border flavors in a new way.